April 27, 8:30 a.m. - 5:00 p.m.
We have a very active and lively youth group at St. Francis comprised of both middle and high schoolers. Parent leaders team up to teach our youth class every Sunday morning at 10am. Using contemporary media (movies, music, YouTube videos, etc.) as a starting point, youth can then relate to the Bible in everyday life and develop their faith. The St. Francis Youth Group also get together to participate in community service events for both the church and our outside ministries. 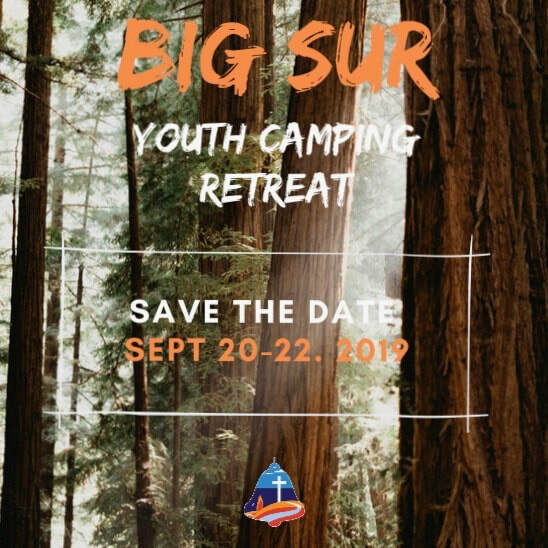 Highlights throughout the year include Vacation Bible School (where our youth lead children in a variety of activities), a summer pool party, Santa Cruz Beach Boardwalk, decorations for our parish hall for Christmas, and special weekend events that include camping in the fall and skiing in the winter. If you are looking for a program for your tween or teen, please join us any Sunday. We can introduce you and your child to group members and their parents. Our arms are always wide open as we welcome new members. An acolyte is a young person who performs ceremonial duties at the altar such as carrying the processional cross, lighting the candles, and assisting the priests prepare for Holy Communion. We train children as young as 4th grade to be acolytes. At St. Francis, the acolyte program is an integral part of our children’s Christian experience and offers them the ability to be fully participating members of the church. During their service, acolytes wear white robes provided by the church. Acolytes typically serve one Sunday per month. Junior acolytes are paired with more seasoned acolytes to help them learn the ropes and gain confidence at the altar. Acolytes may choose to stay in church during the full service or excuse themselves after the procession to attend church school with their friends. New members are always welcome. Questions about the Acolyte Program may be directed to our acolyte director, Bill Johnston . Please use the Contact Form to reach him. 9:00 a.m. - 12:15 p.m. If you are looking for a life-changing service opportunity for your teen, please investigate Sierra Service Project (SSP). Every summer our St. Francis Youth Group participates in this week-long summer service project repairing homes in native American communities. Sierra Service Project gives our youth the ability to experience the profound power of serving people who have a cultural and life experience very different from their own here in Silicon Valley. This is also a great opportunity to meet teens from other youth groups within our the diocese. Scholarships are available for teens needing financial help. 26 St. Francis middle and high school youth and 8 adults will road trip to the Navajo Nation in north-eastern Arizona to learn and serve in their community. SSP Middle Schoolers in Stockton. Confirmation Classes March 10 - April 7, 5:00 - 7:00 p.m.
​If you are interested in participating email The Rector. Since baptism typically occurs at a very young age, those baptized usually go through a second process in their Christian development called Confirmation. Confirmation is considered a mature public statement of faith and commitment to the responsibilities of Holy Baptism. The highlight of this very special service is the laying on of hands by the bishop. At St. Francis, we conduct a Confirmation class and service every other year. Confirmation is a very personal decision made by each individual. As such, we encourage young people to wait until the time is right to begin Confirmation preparations. For some, this may be 13, while others may be 18 or older. But Confirmation is not only for the young. Baptized adults are also encouraged to participate in this very special and spiritual process. An application form for Confirmation may be downloaded here.